Can Planes Fly In The Polar Vortex? A polar vortex has caused temperatures to plunge across parts of the US. In turn, this has led to a number of flight cancellations for many airlines. Simple Flying investigates whether these cancellations are caused by aircraft limitations or airport closures. The death toll in the US has reached eight today as cold temperatures continue to sweep across the country. Minimum temperatures of -53 degrees Celcius (-63F) have been recorded in parts, which is cold enough to cause frostbite in under five minutes. Indeed, warmer temperatures than this recently saw a United Airplane grounded in Goose Bay following a medical emergency. The Polar Vortex across the US has grounded flights. The polar vortex currently sweeping across the US is a result of naturally occurring winds at the North Pole. Usually, these winds will just circulate around the north pole without causing any grief. However, in this particular incident, the winds have stretched further South. 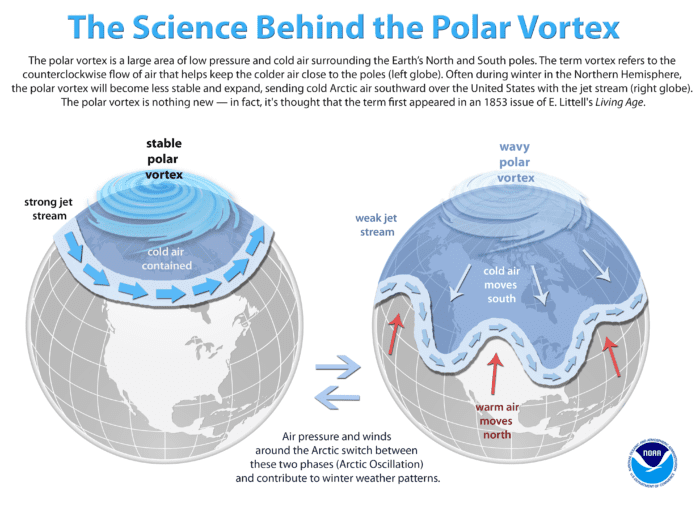 The first noticeable polar vortex was recorded in 1853, however, the term was coined in 2014 during a deep freeze in America. You may ask how this affects aviation? 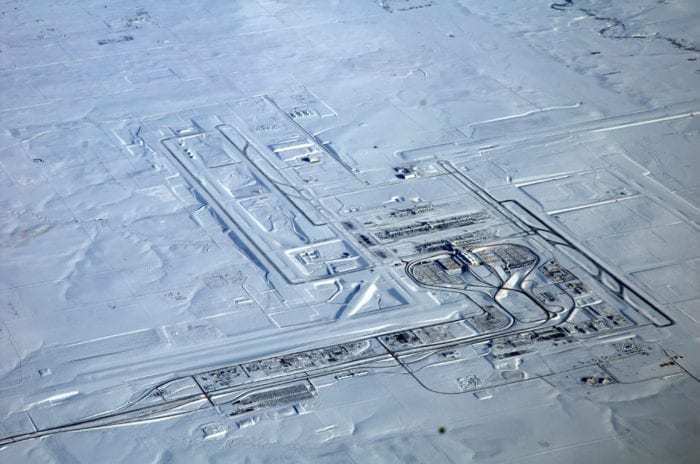 There are several ways that this severely cold weather affects aviation, despite not totally prohibiting flight. Around 9 million passengers have temperatures of 0F (-17C). 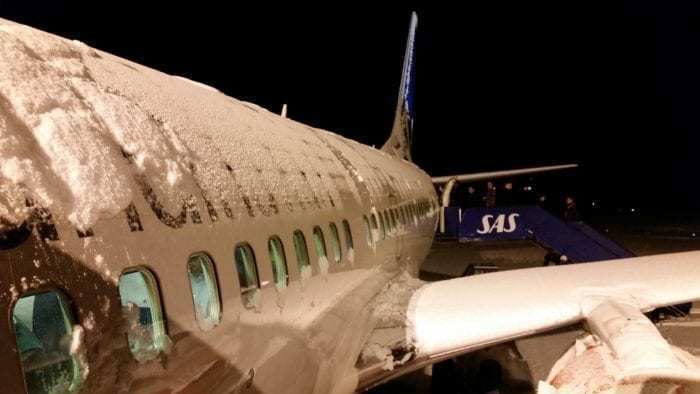 While this may seem incredibly cold to humans used to a warmer climate, the aircraft don’t mind so much. They are used to flying in sub-zero conditions at high altitudes. While there is no specific minimum working temperature according to the US Occupational Safety and Health Administration, staff will have trouble working in the icy cold conditions. At such low temperatures, ramp agents who spend most of the day outside servicing aircraft could get hypothermia. It would be unreasonable to make them work outside for prolonged periods in such conditions. Additionally, the machinery staff use could have difficulty in the temperatures. Have you ever gone outside and struggled to start your car in cold temperatures? Each employee will have to make it into work in the cold weather, then manage to start all of the airfield machinery such as baggage belts and two trucks, which may not be used to such cold weather. While aircraft aren’t majorly affected by the cold weather, there are some things to take into account. Firstly, if there is precipitation in the air, the pilots will have to be aware of icing to the aircraft’s flight surfaces. Secondly, while not applicable at the warmer cold temperatures, Jet fuel can freeze. Jet A fuel will freeze at -40C (-40F), and Jet A-1 will freeze at -47C (-53F). Fuel won’t freeze just like that at these temperatures, in fact, aircraft often fly at colder temperatures. The problem arises if the aircraft is left overnight. In this case, the temperature of the fuel could drop significantly. Finally, if there is snow at the airport, this will need to be cleared for aircraft to operate. Now, if the staff can’t start the snowploughs, they won’t have much luck clearing the snow. Have you been affected by the cold spell in the US? Let us know in the comments down below!